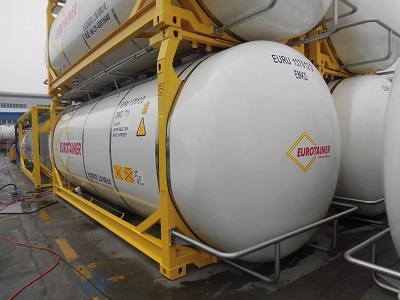 Eurotainer recently took delivery of new 37,000l capacity tank containers in China. These tanks are built for domestic Chinese service and are the largest capacity liquid, swap body type tank containers in the Eurotainer fleet. The initial order was for nine units which have now been followed by several additional orders as demand for this new design is high in China. They are also the largest capacity liquid type ISO tank available in the Chinese domestic market. This new design utilizes the latest developments in tank container engineering and construction to maximize capacity, reduce tare weight to deliver optimal shipment quantities, increase storage capacity and lower overall supply chain costs for our clients.